Leave a note of your custom colors here or type 'n/a' if not applicable. Our sweet pink and gold flamingo stork offers a beautiful and trendy theme perfect for a baby shower or sprinkle. 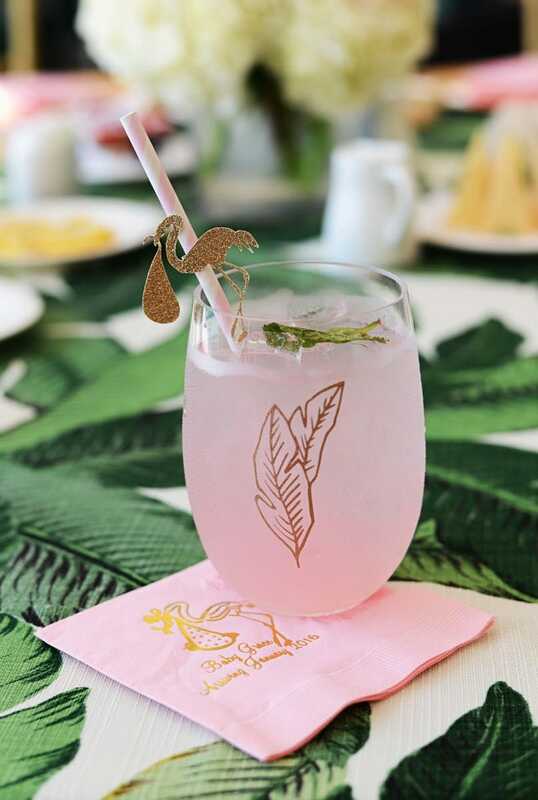 Paper Trail's adorable straws were designed for "Palm Beach Lately" founders to celebrate a tropical flamingo baby shower. As always, everything in our shop can be personalized FREE of charge. Simply leave a note at checkout with your colors and/or wording and we'll take care of the rest! Become a fan on Facebook or Instagram to receive 10% OFF your purchase! Please contact us for Discount Code! It's a Girl Pink and Gold Party Banner. Baby Shower or Sprinkle Decor. Gender Reveal. Baby Girl Party Decorations. 20 Gold Hot Air Balloons on Mint Paper Straws. Baby Shower or Birthday Decor. Up, Up and Away Party! 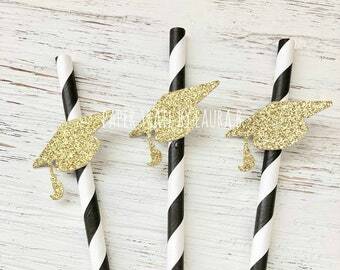 These are the CUTEST straws and were such a hit at the shower. Everyone loved them! We found glasses at target! Great product, fast shipping - loved the product!! Love these! They arrived fast too! Our current processing time is listed under our "Shop Announcements" but generally it is between 4-6 business days from when the order is placed. Depending on the shipping method you selected at checkout, your order may take between 2-5 business days to arrive from when the order was shipped (US orders). Can I customize/personalize my order? Yes! We love custom orders and almost everything can be customized! If you need to make a minor change in color and/or wording, simply leave a note for us at checkout. If you have a new party idea or would like us to build a party package for you, please contact us. We'd love to work with you! All of our items are handcrafted and shipped from our studio located in Calabasas, CA. A small town in the suburbs of Los Angeles.